Founded in 1635, Eötvös Loránd University (ELTE) is the largest and oldest university in Hungary with more than 35 000 students, divided into 8 faculties. The university maintains close ties with national research institutions such as the Hungarian Academy of Sciences and hosts dozens of academic research groups that contribute to the activities of the different faculties (research and teaching). The university has also established a strong international network by signing contracts of bilateral cooperation with more than 100 universities all over the world. ELTE takes active part in the European networks. In the framework of the Erasmus exchange program, every year the university hosts more than 100 students from all over Europe and sends more than 200 Hungarian students abroad. For this reason, the university is the biggest Erasmus exchange program institution in Hungary. Every year the number of participating professors reaches 100-110, and the university hosts 70-80 foreigner professors per year. The Faculty of Humanities is responsible for more than half of the Erasmus exchange students. In March 2010, the university was awarded the title “University of Excellence”, which enables it to benefit from a significant financial support of the Hungarian State. With this support, the university aims to integrate excellent researches into education on the Master’s and doctoral levels. The excellence initiative of the Faculty of Humanities for the period 2010-2012 aims at the internationalization of its educational programs and their integration into international networks. In this initiative, the Atelier – Department of European Social Sciences and Historiography serves as a model; the head of Department is responsible for the operation of the initiative on the Faculty level. 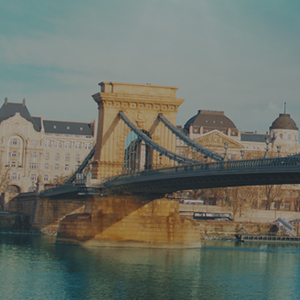 In Budapest, the TEMA+ EMJMD is run by the Atelier – Department of European Social Sciences and Historiography, which operates within the Institution of History of the Faculty of Humanities. This department was founded in 1989 with the aim of helping student and faculty exchange between France and Hungary, following the fall of the Berlin Wall. The department has always placed urban researches at the center of its scientific projects as a result of the main interests of its founders, Jacques Revel and György Granasztói. Since its creation, Atelier has sent more than 60 students to study in Paris, and organized more than 100 international seminars and symposiums. In 1997, Atelier launched its doctoral program. Today Atelier simultaneously functions as a department and a research center that benefits from the financial aid of the Eötvös Loránd University, the French Institute of Budapest, the Hungarian Academy of Sciences, the l’École des Hautes Études en Sciences Sociales in Paris, and the Hungarian Ministry for Education and Culture. This interdisciplinary research center aims to study issues related to the civilization, nation, and city. Atelier was the coordinating institution of the TEMA Socrates Erasmus curriculum development project (from October 2005 until September 2008), supported by the European Commission. This project was aimed at developing and accrediting the TEMA European Master Course’s curriculum at the partner universities: École des Hautes Études en Sciences Sociales in Paris, France, University of Catania, Italy, Charles University in Prague, Czech Republic, University “Sveti Kliment Ohridski” in Sofia, Bulgaria, and University Babeş-Bolyai of Cluj, Romania. The last two universities do not participate as partner institutions in the consortium of the TEMA Erasmus Mundus Master Course. The new TEMA+ programme is the renewed and developed version of the TEMA programme.